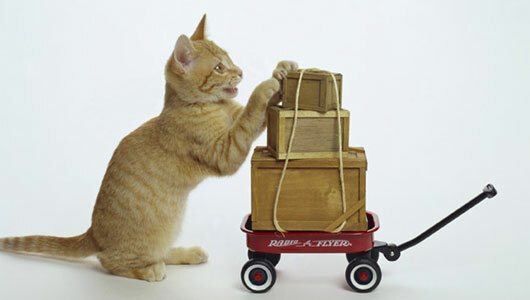 Reducing stress during your move is our mission but what about your furry friends? 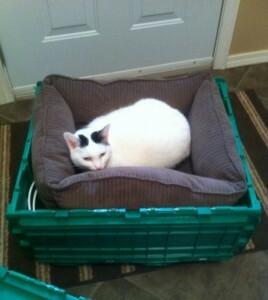 Moving can be extremely tough on pets. Fear not! 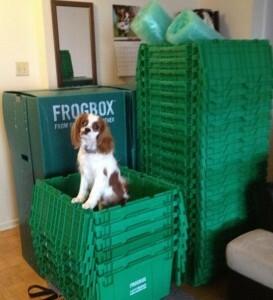 Your friends at FROGBOX have created a PET MOVE PLAN to make your move less stressful on Fido and Fluffy, and you! MAKE A LIST OF THINGS YOU WILL NEED: food, water, treats, medications, leashes, poop bags, pet carrier, overnight bag etc. VISIT THE VET: it’s a good time to check that vaccinations are up to date, refill any prescriptions, collect vet records and perhaps obtain a recommendation for a vet near your new home. RESEARCH THE DRIVING ROUTE: if you are moving your pet using your own vehicle it’s a good idea to map out the shortest possible driving route. 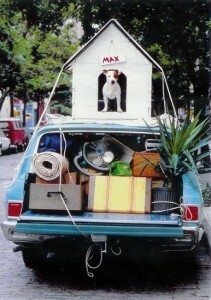 Many pets do not travel well; it’s worth taking the time ahead of your move to seek out the shortest route. GET GROOMING: depending on the type of pet you own you may wish to look into grooming the week prior to your move. This will ensure your pooch is clean with their nails trimmed and will hopefully reduce the stress shedding! CONSIDER A BOARDING KENNEL: You will be distracted trying to stuff your FROGBOX moving boxes into the moving truck so why not consider boarding your furry friend for the day. BRING A FRIEND: Your pets may appreciate a dedicated “handler” on move day, especially as you will be focused on filing your FROGBOXes into your moving truck! USE YOUR OWN VEHICLE: Pets, much like people, appreciate familiarity. Especially during times of chaos. ENTER THE HOME BEFORE YOUR PETS: ensure the yard is pet proof & lay out familiar items belonging to your pet. SCHEDULE PLAYTIME: Finding time to play with your pet will distract them from the unfamiliar territory. FIND A QUIET SPACE: Set up your pet’s belongings in a nice calm corner of a quiet room. Encourage your pet to use this as a retreat. UPDATE MICROCHIPS AND TAGS: Make sure your pet’s chips are up to date with your new contact information. KEEP THEM INDOORS: Cats & dogs should be kept inside for a few days; this allows them time to acclimatize to their new surroundings. Whether you’re moving frogs or dogs we hope our FROGBOX moving boxes help reduce stress on you and your family, furry & human alike!